To conquer the day, I decided to try and tap into some super human powers that just might be harnessed in the simple threads of thrift short tee shirt. While I fully acknowledge that my attitude recently has been less than super, today I'm going the route of dressing for the job I want, not necessarily of the job I have. Or at the very least, I'm striving for the attitude I want. LOL! 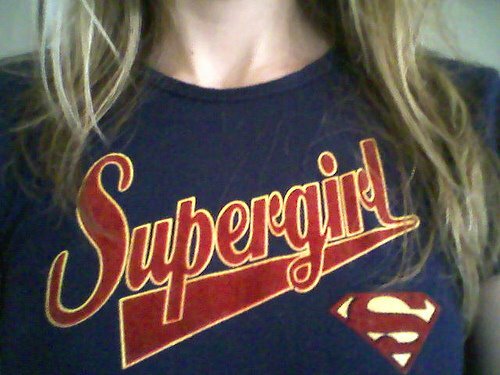 I suppose that is one of the things that makes this shirt that much more super.